I can't believe that it's been a week since Wonder-Con. It was only our second convention and we learned so much and met so many great people. We're doing it all over again in Seattle this upcoming weekend. 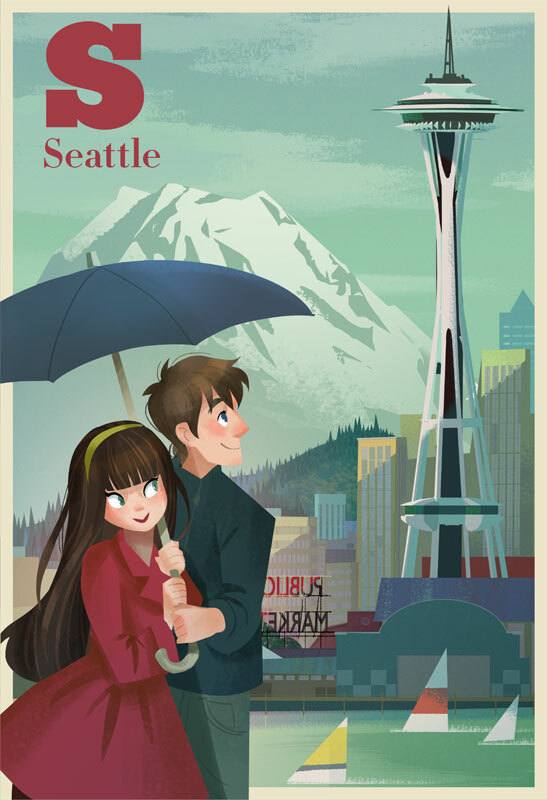 My wife and I collaborated again on this fun Seattle poster. We have great memories of the city and are looking forward to being able to visit again. We've been busy for the past week and have prepared a few new prints, pins and this limited edition Seattle Print. We're at booth 1008! Hope to see you there! I flew up to San Francisco a few weeks ago and it was my first flight headed to SFO rather than Oakland. 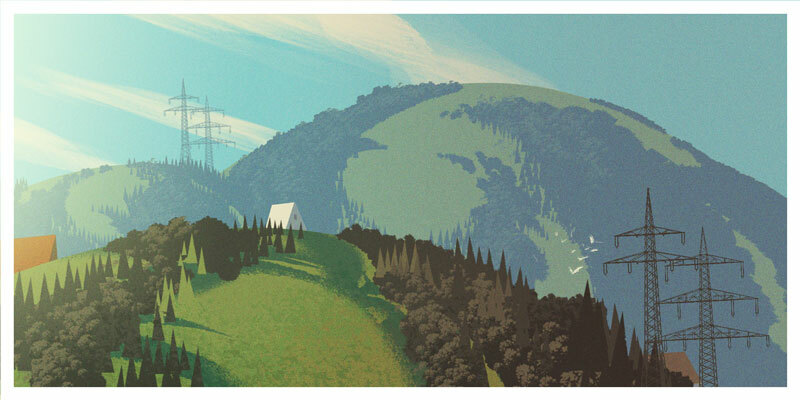 As we approached the airport, I saw rolling hills and forest straight out of an Eyvind Earle painting. The image has been stuck in my head for weeks and I finally had a chance to paint it last night. I would also like to thank all of you that ended up visiting our Wonder-Con booth! The weather was unpredictable as was parking. So props to all of you who braved both. 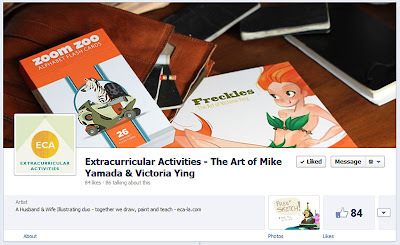 We're going to be at the Emerald City Comic Con next week! Come on by the booth to say hi! We're going to be at Table 1008 which we are sharing with Jason Brubaker. Check out our map and booth info on the sidebar. Me and the wife are going to be having a table at Wonder-con this weekend. She had the great idea to give out free sketches if you bring by the above flier. Plus it doubles as a handy map that tells you where to find us. The convention is just days away and I'm already a little anxious. So much to do/finish up. So little time. My wife and I have been sharing a convention table since last November and we thought it was about time that we had a few things to sell that we collaborated on. 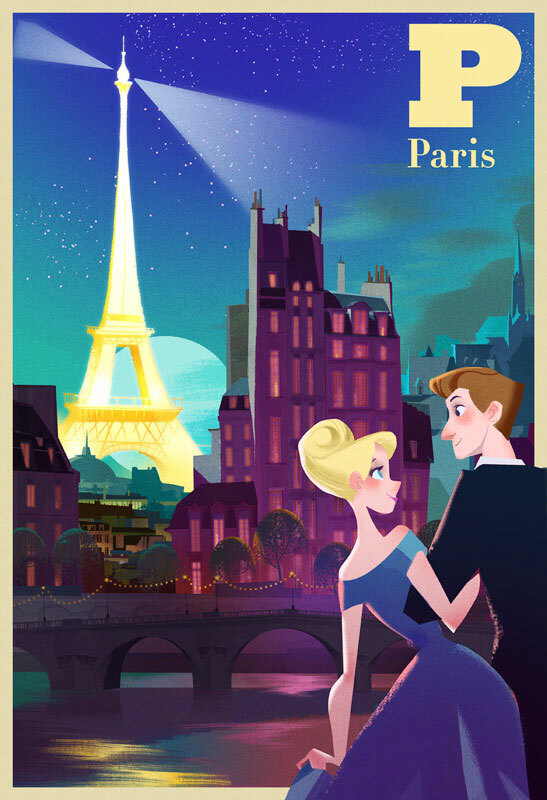 We love traveling and seeing new cities and though a series of travel posters would be a lot of fun to work on. Here's our first completed one and we're also working on posters for San Francisco and Venice. 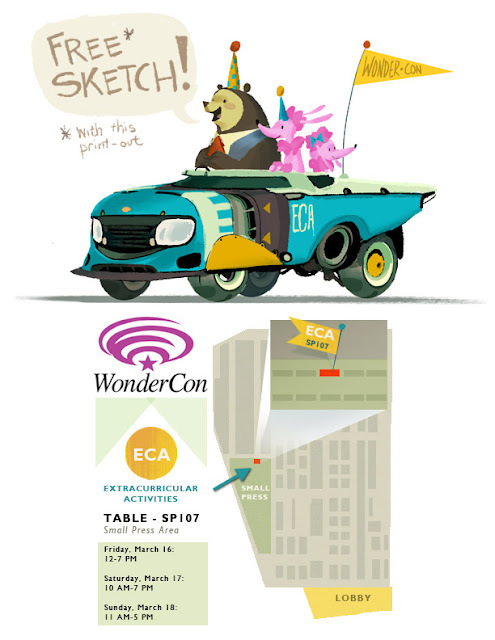 If you'd like to see the print in person, stop by and see us at Wonder-con table from March 16-18 or at Emerald City Con from March 30 - April 1st. Details coming soon!